Editors Marsha Kinder and Tara McPherson present an authoritative collection of essays on the continuing debates over medium specificity and the politics of the digital arts. Comparing the term “transmedia” with “transnational,” they show that the movement beyond specific media or nations does not invalidate those entities but makes us look more closely at the cultural specificity of each combination. In two parts, the book stages debates across essays, creating dialogues that give different narrative accounts of what is historically and ideologically at stake in medium specificity and digital politics. Each part includes a substantive introduction by one of the editors. Part 1 examines precursors, contemporary theorists, and artists who are protagonists in this discursive drama, focusing on how the transmedia frictions and continuities between old and new forms can be read most productively: N. Katherine Hayles and Lev Manovich redefine medium specificity, Edward Branigan and Yuri Tsivian explore nondigital precursors, Steve Anderson and Stephen Mamber assess contemporary archival histories, and Grahame Weinbren and Caroline Bassett defend the open-ended mobility of newly emergent media. In part 2, trios of essays address various ideologies of the digital: John Hess and Patricia R. Zimmerman, Herman Gray, and David Wade Crane redraw contours of race, space, and the margins; Eric Gordon, Cristina Venegas, and John T. Caldwell unearth database cities, portable homelands, and virtual fieldwork; and Mark B.N. Hansen, Holly Willis, and Rafael Lozano-Hemmer and Guillermo Gómez-Peña examine interactive bodies transformed by shock, gender, and color. 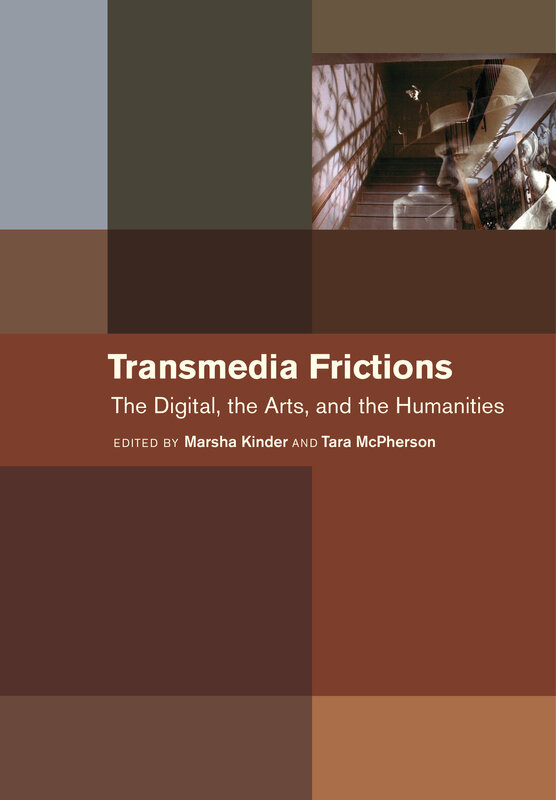 An invaluable reference work in the field of visual media studies, Transmedia Frictions provides sound historical perspective on the social and political aspects of the interactive digital arts, demonstrating that they are never neutral or innocent. Marsha Kinder is an Emerita University Professor of Critical Studies at University of Southern California's School of Cinematic Arts and the author of many books, including Playing with Power and Blood Cinema. Since 1997, she has directed The Labyrinth Project, an art collective and research initiative on database narrative, which has produced twelve interactive projects (DVDs, websites, and installations). Her latest online project is interactingwithautism.com. She is also a longtime member of the Editorial Board of Film Quarterly and is currently working on a book titled Database Narrative in the Light of Neuroscience. Tara McPherson is Associate Professor at the University of Southern California's School of Cinematic Arts; author of the Cawelti Award–winning Reconstructing Dixie; editor of Digital Youth, Innovation, and the Unexpected; coeditor of Hop on Pop: The Politics and Pleasures of Popular Culture; a founding editor of both the International Journal of Learning and Media and of the online media journal Vectors. She is the Lead Investigator of the Alliance for Networking Visual Culture and is completing Designing for Difference, based upon ten years of digital production collaborations. Is (Cyber) Space the Place?